Whilst on my tour of North Devon, I thought it would be rude not to try a traditional scrumpy cider. As they say, when in Devon, do as the Devonians do! Luckily for me, a friend had recently told me about the Ostlers Cider Mill and the tasty tipple that comes from a gorgeous valley in the heart of the countryside. I promptly arranged a visit to the rural farm, and spent a glorious day with Becci, the owner, learning about the processes involved and the incredible drink and vinegar made on the site. The cider farm is no commercial enterprise, instead, it is a humble and understated haven. The drive there alone is enough to captivate you. As you follow a bumpy and winding country lane, the hedges bursting with wild flowers and fields full of cattle, you will end up surrounded by the stunning orchard, barrels of cider and vinegar and various pieces of equipment. The mill is family run, in the sense that it is quite literally the core members of the family that are the driving force, the life and the breath of the daily functions, which nowadays is quite rare. With their family home situated in the heart of the orchard, they live through all seasons, surround by the apple trees, animals and rolling landscape. The farm has been in the family since 1990, with the original aim being to produce a traditional Devonshire Scrumpy, it wasn’t until a lid of one of the tanks accidentally came off that the mill diversified and begun producing the award-winning vinegar, that is still produced today, the tried and tested recipe hasn’t changed in all those years and still delivers a punchy, raw, healthy and addictive vinegar. The cider vinegar is made using a completely natural process, ensuring that all the goodness from the raw ingredients are maintained and bottled for your benefit. The cider vinegar has won the prestigious Taste the West Award for six years in a row which is an astonishing recognition for the flavour and quality of the vinegar. The Taste of the West promote and find the cream of the crop from the region, the label and the award indicates the best of the best food and drink from the area, highlighting the passionate and dedicated producers. I visited the orchard on a warm summers evening and had the opportunity to wander through the apple trees whilst relishing the sunshine. The farm has been organic since 2013, and the resident grass cutters (see the picture below) joined me for a stroll. The wildlife is plentiful in the magnificent valley, with butterflies floating in the breeze and colourful flowers growing around the trees. The mother is the gold within each bottle, now, although it doesn’t look overly appealing, it is where all natures goodness is held, each inch of the unusual goo is packed full of health boosting bacteria, that your body will be thankful for. 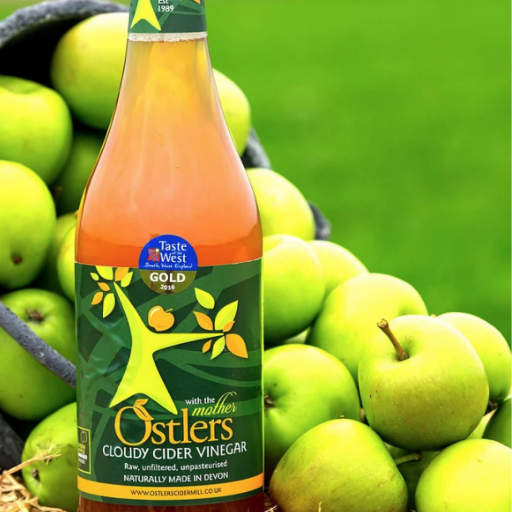 The mother is only found in unrefined and unpasteurised vinegars, and Ostlers Cider Vinegar has a generous portion of it in each bottle. The incredible natural remedy has a range of benefits, including promoting a healthy digestion, supporting regularity, limiting toxins in the body, restoring the body’s natural balance, promoting healthy hair and much, much more! Now, you don’t get organic vinegar or cider by using a petrol-powered machine to harvest the fruit. Each apple has been hand-picked in the unpredictable UK weather, whether the bright sunshine is beaming down or the diagonal and relentless rain is creating streams in the orchard, the local pickers will be there rain or shine. Before the apples can be collected, each must have dropped from the tree, rather than clambering up the trunk to pick them while they are still hanging on to the stem. Many pickers, will sit on the floor with a large bag and shuffle along as they collect the precious fruits. 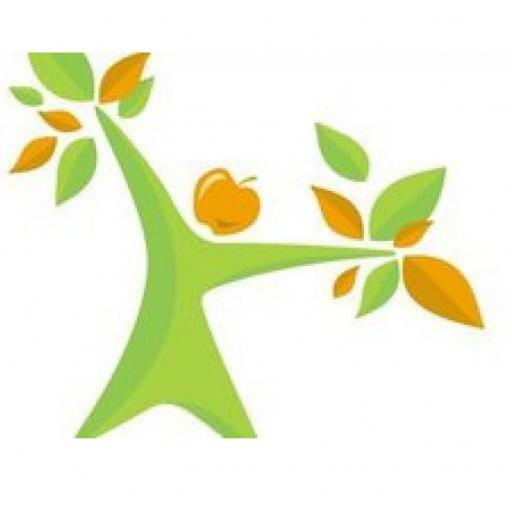 Once each apple has been gathered, the pressing and fermenting process can begin. It takes one year to make the cider and three years to make the vinegar, after this time has passed, the incredible liquid is ready to be bottled. You may not appreciate the hard work that goes into the bottle from looking at it, but not only is each apple hand-picked, every single bottle to come from the farm has been hand-poured, hand-labelled and individually quality checked, at times there are up to four labels per bottle, if that isn’t love and dedication for a product, I don’t know what is! The farm isn’t glorified, it is rustic, it purely focuses on the incredible product that mother nature provides, with no nasty added ingredients. In each bottle is the goodness in its purest form, so that you can enjoy and benefit from the rawest fruits of the labour. Wassailing is a celebration that dates to pagan times and is still popular amongst cider drinkers today. The ancient English tradition involves singing and blessing the orchard to keep away any evil spirits and ensure a healthy and plentiful harvest. During the festivity and the procession, which is led by the wassail king or queen, the cider will be flowing and the dance floor will be alive. The wassail takes place once a year at Ostlers Cider Farm, where all are invited to join in with the fun and spend the evening enjoying the Scrumpy, beautiful location, music and company.